Open Energy Efficiency, with participation from the California Energy Commission, the New York State Energy Research and Development Authority (NYSERDA), the Energy Trust of Oregon, and other stakeholders issued a new set of guidelines under the framework of CalTRACK 2.0. ​This new version of the CalTRACK framework included updates to existing CalTRACK methods as well as the development of methods and policy guidance for hourly savings, portfolio load shape, and non-residential sectors. These updates further aligned the CalTRACK framework with the needs and requirements of pay-for-performance programs, energy efficiency procurement, and market development. 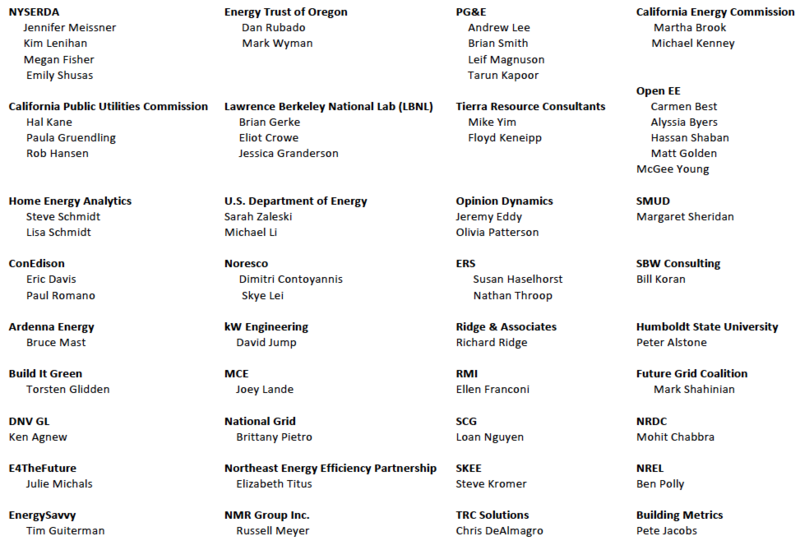 Nearly 60 experts representing advocates, utilities, regulators, implementers, evaluators and academic researchers participated in the CalTRACK 2.0 process. Thank you for your contributions.